Today, the U.S. Department of Labor announced a Notice of Proposed Rulemaking, (again) proposing a hike to the salary threshold requirement under certain exemptions from the Fair Labor Standards Act (FLSA). In short, the DOL says the change "would make more than a million more American workers eligible for overtime." The proposal seeks to establish a new salary requirement of $679 a week ($35,308 a year). The proposal does not call for automated adjustments to the salary level -- a question that had been hotly contested. The DOL set the current salary threshold of $455 a week ($23,660 a year) in 2004. More information about the proposed rule is available here. Once the rule is published in the Federal Register, the public has 60 days to submit comments for consideration by the Agency. The FMLA can be a complicated law to navigate. 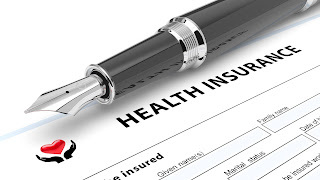 For that reason, take this opportunity to review the forms for a primer / refresher on the FMLA process, the notice requirements, and the rights and responsibilities of both employers and employees. If you do business in a state that has its own state-law counterpart to the FMLA (sometimes called a "mini FMLA"), be sure you're meeting the requirements of both state and federal laws. 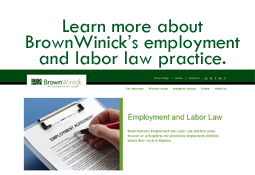 If you have questions about the FMLA, please contact Megan Moritz (moritz@brownwinick.com) or another member of the BrownWinick Employment Practice Group. The case, Epic Systems Corp. v. Lewis, largely pitted the Federal Arbitration Act (“FAA”) against the National Labor Relations Act (“NLRA”). The FAA requires courts to enforce arbitration agreements according to their terms; the NLRA provides that employees have a right to engage in “concerted activities for the purpose of collective bargaining or other mutual aid or protection.” The issue facing the Court: Whether the NLRA’s protection of concerted activity trumps the FAA’s dictate to enforce arbitration agreements. Epic Systems involved a group of employees, each of whom had entered into contracts with their employers under which he or she agreed to individualized arbitration for any and all work-related disputes that might arise during their employment. The employees in the underlying cases nevertheless attempted to litigate wage and hour claims in class or collective court actions. The employers wanted the court cases thrown out per the contractual agreement to arbitrate, pointing to the FAA’s broad pronouncement that arbitration agreements should generally be enforced as written. The employees responded that the FAA’s so-called “savings clause” does not require enforcement of an agreement to arbitrate if that would violate some other federal law. They argued that conditioning employment upon an employee’s agreement to individualized arbitration violates section 7 of the NLRA because the employers were effectively preventing them from engaging in “concerted activity” of class or collective litigation. The Court concluded that the NLRA does not displace the FAA, and the Court did not believe Congress intended the NLRA to specifically protect a right to class or collective actions. Where employers and employees have agreed to individualized arbitration, employees’ rights to engage in concerted activity under the NLRA are not infringed by enforcing the arbitration agreement. Historically, the National Labor Relations Board general counsel, as well as many courts, generally agreed that arbitration agreements providing for individualized proceedings were enforceable. In 2012, the NLRB reversed course – ruling that the NLRA essentially invalidated the FAA in this kind of case. In the last two years, a number of courts have either agreed with or deferred to the Board’s 2012 decision. The Epic Systems case resolves any remaining confusion, and clarifies that nothing in the NLRA displaces the FAA, and the NLRA does not promise employees a right to join together to pursue legal actions – either in court or in arbitration. If you have questions or would like to discuss whether including an arbitration provision in one of your company’s employment contracts is the best decision for your business , please contact Megan Moritz (moritz@brownwinick.com), Elizabeth Coonan (coonan@brownwinick.com) or another member of the BrownWinick Employment Practice Group. For the past several months, we have been inundated with daily news about entertainers, media personalities, and politicians being accused of sexual harassment and worse. Victims of such conduct are no longer remaining silent – and rightfully so. The era of responding to an employee’s allegation of sexual misconduct by a supervisor or coworker with “Oh, that’s just Charlie being Charlie,” are over (as an executive producer at CBS reportedly said in response to an employee’s complaints about Charlie Rose). Charges of sexual harassment have always posed the potential for very serious liability. Although sexual harassment historically has been difficult to prove from the legal perspective, technology and social media have armed victims with new outlets for their voices to be heard: more and more women and men are voicing their concerns in the court of public opinion before heading to a court of law. This movement is not limited to the arena of celebrities and politicians. Allegations of past and current misconduct in all workplaces is trending up. Does your business have the necessary policies and procedures in place to discourage such misconduct? Is your business ready to respond appropriately to internal or external allegations of harassment? What if the allegations are against your CEO or other critical managers? Are you prepared to properly address such complaints and protect your business? Given the spotlight being shined on these issues, and the importance of ensuring a safe work environment free from unlawful discrimination, we have prepared a series of three blog posts focused on relevant considerations for employers. This is the first post of that series, focused on the basics of required anti-harassment policies and reporting procedures. The second post will address implementing actual practices that comply with these policies and procedures. The third post will shift the focus to responding when issues come to light, and dealing with an investigation. Policies should be clearly worded, and should explain the kinds of prohibited conduct. Ensure the policy has been disseminated to everyone and that everyone in the workplace knows it exists, and knows who to contact with workplace concerns. Because federal and state law, as well as EEOC guidance, are ever-evolving, policies should be periodically reviewed and updated by someone who keeps up with these changes. The policies should be redistributed periodically, and employers should also provide regular refreshers and training (at least annually). Keep in mind policies prohibiting harassment should apply to everyone in the workplace – including top management, coworkers, vendors, customers, and others. Compliant policies also need to incorporate required anti-retaliation provisions. Does your policy incorporate a proper complaint-reporting mechanism? The procedures spelled out in the policy for how an employee may report alleged misconduct are every bit as important as the policies prohibiting such conduct. It is critical to have in place alternative avenues for a victim to report misconduct so that he or she feels comfortable making the report (i.e., is not forced to file a complaint directly with the alleged harasser). While employers may offer a complaint-reporting form, employers cannot require employees to make complaints in writing. (This underscores the importance of training to ensure supervisors understand how to identify red flags, and what to do in response.) Nevertheless, it is a good practice to make such forms available as an option for reporting misconduct, in which case the forms need to be regularly reviewed and revised to remain compliant with current law. In the current environment of heightened awareness and social media that allows even one allegation of misconduct to take on a life of its own, you need to put yourself in the best position possible to respond quickly and appropriately. BrownWinick has the personnel to help, but whoever you might consult, now is the time to ensure you have the policies and procedures in place to best protect your company. Remember that Department of Labor rule that was supposed to go into effect December 1, 2016 that would have raised the minimum salary for exempt employees from $455 per week to $913 per week? Either way, forget about it—it has now been struck down by a federal judge in Texas. If you’re asking yourself, “Didn’t that already happen?,” the answer is “sort of.” Back in November of 2016, the court had entered a temporary injunction that stopped the rule from going to effect on December 1. The Obama administration’s Secretary of Labor, Tom Perez, immediately appealed that ruling to the Fifth Circuit Court of Appeals. Then President Trump took office, Alexander Acosta replaced Tom Perez as Secretary of Labor, and the DOL suddenly had a change of heart about the litigation and the fate of the rule. Meanwhile, Judge Amos Mazzant in the Eastern District of Texas, continued considering the case, having refused to stay the action pending the appeal. Fast forward to August 31, 2017: ruling on a motion for summary judgment filed by 55 states and chambers of commerce (as well as former Governor Terry E. Branstad), Judge Mazzant concluded “the Department’s Final Rule described in 81 Fed. Reg. 32,391 is invalid.” The reasoning for the court’s decision is based on the Chevron doctrine from administrative law. Basically, the court found the Department of Labor overstepped its rulemaking authority by making a rule inconsistent with Congress’s intent under the FLSA to exempt from overtime-pay requirements bona fide executive, administrative and professional employees. The $913/week minimum salary threshold ($47,476) was so high that it would have made many employees who performed exempt duties (e.g., managers) non-exempt because they did not meet the minimum salary. The Final Rule more than doubles the previous minimum salary level. By raising the salary level in this manner, the Department effectively eliminates a consideration of whether an employee performs “bona fide executive, administrative, or professional capacity” duties. … Congress was clear that the [exemption] determination should involve at least a consideration of an employee’s duties. … The Department has exceeded its authority and gone too far with the Final Rule. So, what now? While, theoretically, the DOL could appeal this ruling to the Fifth Circuit, it appears more likely that they will go back to the drawing board and revise the rule. On July 26, 2017 the Department of Labor published a Request for Information (RFI) asking for the public’s input on how executive, administrative, and professional employees should best be identified as exempt from overtime. You can view the RFI here and submit comments here. Comments will be accepted until September 25, 2017.